Style Theory: I have an admission, I suffer from #FOBO (Fear Of Being Overdressed) I am always happier a little dressed down, I love a party outfit but I like to add a casual edge to balance out my look, think sequin trousers and trainers, glittery tops and jeans. I am uncomfortable with the all singing, all dancing party look, I adore it on other people but on me it feels a little feel too much. The Velvet jacket is my hero partywear item, absolutely adore this item, it is so on trend this year but also such a classic piece. 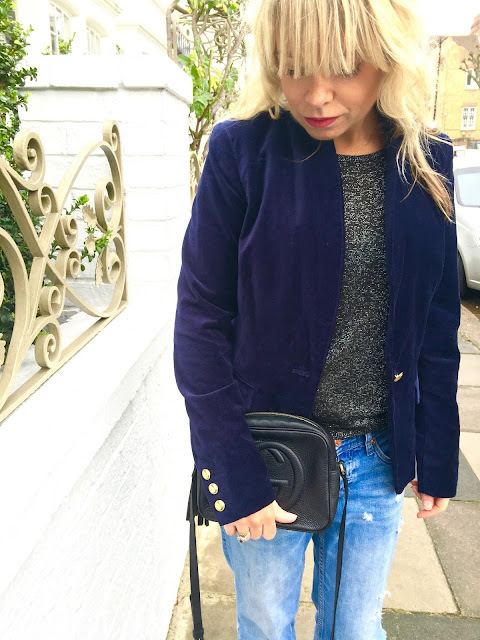 It fits beautifully, I ordered the size 10 and it fits perfectly, the velvet feels luxurious alongside the gold button details for a chic finish. Again a really affordable price from £38. This camel coat is a beautiful wool and cashmere mix, it looks and feels so expensive and hangs beautifully on. A classic shape so worth investing and looks effortlessly chic. Without a doubt the best affordable camel coat I have found this year, I will be investing in it. It comes up a little big, I am wearing a uk 8. To add a little spice to your look, this 'soft as butter' leather dress the ultimate LBD, it fits like a glove creating a flattering silhouette, it really is beautiful on and the length is perfection, hugs your curves but skims over lumps. 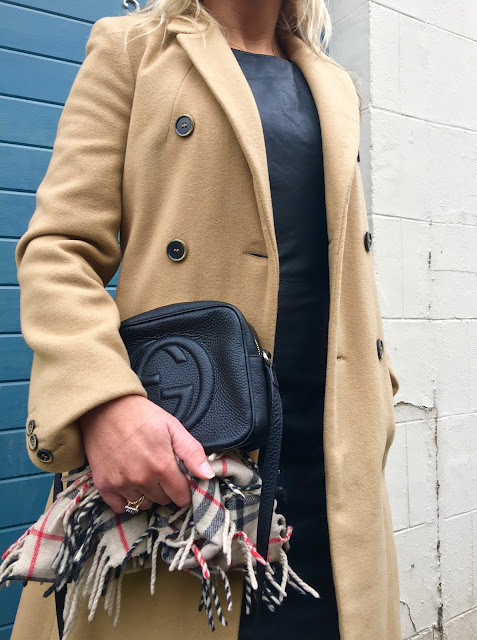 The coat is the perfect neutraliser to the leather dress, add a pair of leopard print heels and a little black understated bag for a easy, chic look. This dress is so easy to wear, throw over jeans, leather leggings or opaque tights, add a pair of black courts to lengthen legs (especially when wearing black opaques) and add a touch of clashing pink and you have a comfortable, cool, flattering Christmas party look. This is the perfect outfit if you, like me, are a little out of shape and have been dodging the gym and indulging in mince pies, it covers over everything and I love the extra support of leather leggings to hold it all in and slim down my look and it is only £21. 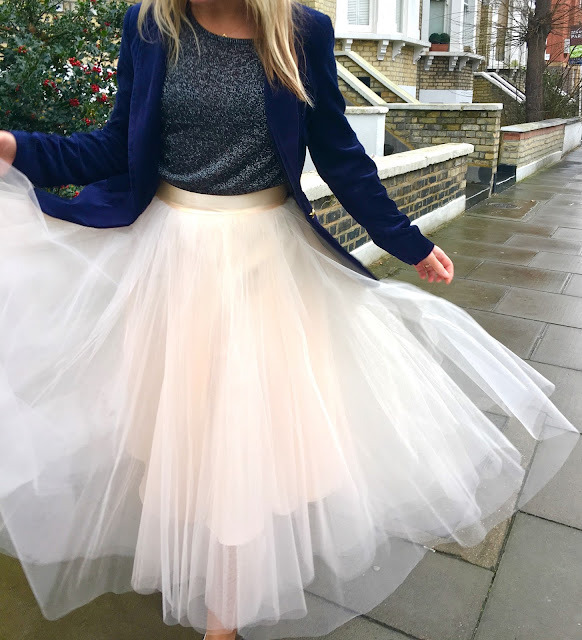 So not necessarily understated but how often do you get to wear a tutu?! 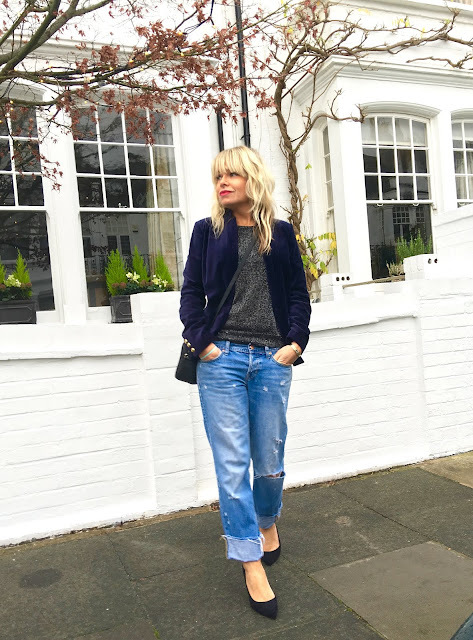 I adore the La Redoute velvet jacket and sparkly top with this look and the trainers bring it back down to earth. All in all a pretty comfortable but quite show stopping look and one of my favourites. La Redoute have an amazing sale on at the moment so many of the pieces I have featured are heavily discounted making them the perfect Christmas party treat. Do you have #FOBO , or do you like going all out for the partywear? I would love to see your #FOBO Christmas looks on Instagram, please share them with me with the hashtag #FOBO. Created in collaboration with La Redoute. All words, styling and creative direction my own. Love the velvet jacket not to mention that tulle skirt Frances - just stunning. La Redoute have some fabulous pieces don't they. I agree about the velvet blazer, so useful! I have a black one, but like Sue I don't have a blue one - gorgeous colour. 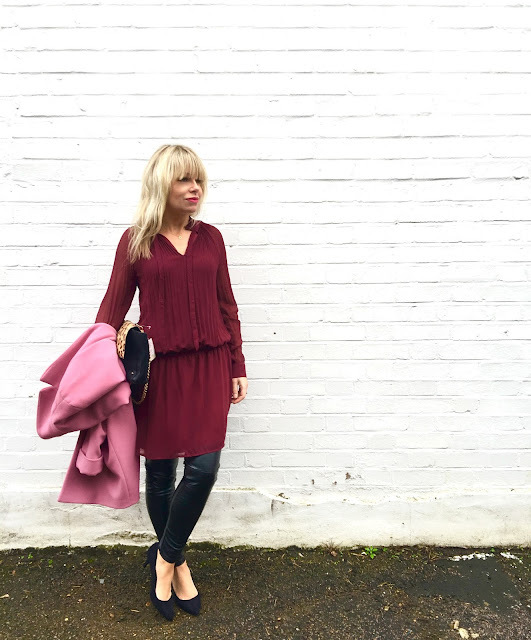 I definitely have FOBO and feel much more comfortable dressed casually, some lovely ideas here. Love the dress with the pink coat, really lovely colours together. You look absolutely amazing in every look Frances!! I LOVE how you have styled the pieces, the leather dress and the velvet blazer are both stunning pieces.